At some point in the middle of my 70-year-old mom’s bong rip, as the distinctive schalp schlap schlap sound echoed in the kitchen, it dawned on me that my family life had recently taken a strange turn. Through a haze of pungent smoke I saw not just the woman who raised me, but a late-life social pioneer. Just a few years ago, my parents were a solid middle-class couple in a wholesome midwestern town who faced a fairly normal array of financial uncertainties and stresses as their careers wound down. But now, they have embarked on an astonishing second act in life — call it a Walter White retirement. Today, Mom and Dad are on the West Coast, living at the edge of the law, and bringing home huge wads of cash growing extremely high-grade weed in their backyard. If you were to ask me five years ago where I thought I would see my family in 2014, this would be the last thing I would have guessed. Even as the grim economic realities of life post-2008 were starting to set in, with my dad struggling to find work as an aging boomer, the notion that they would be living in Oregon and growing what has been described by industry professionals as some of the purest, most potent weed in America might as well have arrived via telegram from Neptune. But Mom and Dad now regularly drive their ten-year-old family sedan to medical marijuana dispensaries and return home trundling bags full of tens, twenties, and hundreds. They’re happier, and richer, than they’ve been in years. It was actually my sister who put the whole thing in motion. She and her boyfriend were both committed farmers and agriculturalists, living in a yurt in the Southwest. She floated the idea of the whole family moving in together and starting a small family farm in Oregon, which has excellent growing conditions. I’d been living on the East Coast for over a decade at that point. But my parents, feeling the tightening grip of money problems and seeing their hopes of a sunny retirement fading away, were sold on the idea. They put their house on the market, packed up their belongings, and headed west. Though they definitely lean left of center, I wouldn’t say my parents were true hippies — so I was surprised at their faith that they’d just, like, figure things out when they arrived. I remember visiting Oregon to help them look at possible properties and things were … unsettled. Back home, their house was still on the market. At one point, we were just looking at an open field. My sister and her boyfriend were trying to be optimistic and ready to go with plans. But a yurt for four was not going to work. But the next visit, some six months later, I saw the fan leaves of a 15-foot-tall cannabis sativa plant poking over the garage of a newly acquired property. The switch from family farm to weed-growing operation wasn’t the plan at first, but with a mortgage to pay, my parents soon realized they needed a very profitable crop to avoid the same financial strain they’d been feeling in the Midwest. As luck would have it, they had just moved to the world’s greatest outdoor-weed-producing climate. Medical marijuana in Oregon has been legal since 1998. Over that period, the Oregon Medical Marijuana Program, or OMMP, has grown out of its early days Wild West culture into a more strictly regulated system, albeit one that is still built around a crop that is highly illegal under federal law. (The vague legality of it all is why I agreed to keep everyone anonymous here.) But with a ballot initiative scheduled for this fall and polls showing high levels of public support, it looks like Oregon won’t be far behind Washington and Colorado in legalizing recreational marijuana use. 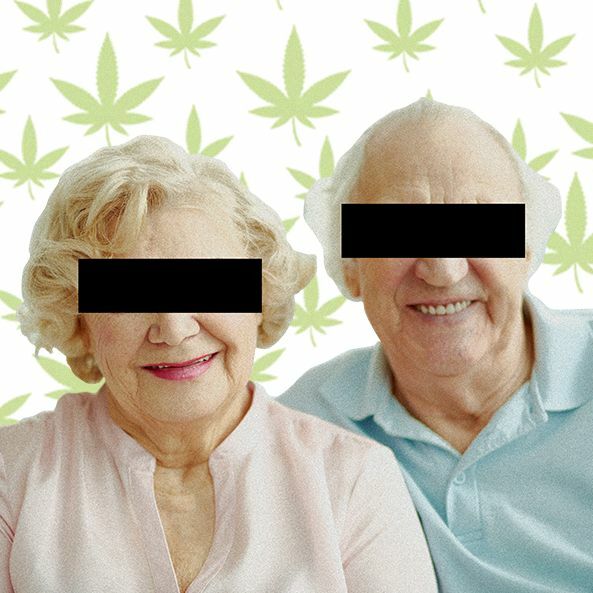 Shifting attitudes toward pot at the national level only make me more optimistic that my parents won’t eventually find themselves in handcuffs. In the meantime, here’s how my family can make it work: In order to become part of the OMMP system, a doctor must approve an application that states what one’s ailments are and that medical marijuana actually can help. The card costs $200 and has to be renewed each year. Patients can have other people grow for them, and that’s what the family is doing at the farm. Everyone has a legal card, and my sister and her boyfriend are registered growers. At any one time, a patient can possess up to 24 ounces of usable marijuana. But — here’s the key part — a patient can also sell their excess to a dispensary. That’s the loophole my parents use to sell their product. It’s not difficult for them to find buyers. My family’s pot has tested off the charts with OMMP dispensaries. Part of the medical-marijuana testing process involves a detailed culture test that identifies mold colonies on the actual marijuana — the lower the number, the purer the pot. Growers are allowed 10,000 colonies per gram. My parents’ stuff clocks in at around 2,300. One batch came in at a mere 300. Through chromatography testing, the levels of THC (the compound that actually makes marijuana potent) are about as high as you can get for weed that’s grown outside of a lab. But even with a guard, and people like Lil Jake, my parents’ life bears a limited resemblance to Walter White’s. My mom still goes to the grocery store each day, they’re more or less on the right side of the law, and in a weird way it’s nice to see my whole family working together. Trips to see them are also a lot more interesting than they would be if my parents had retired in Florida.